What is good for the simulation and the machine learning is, as it turns out, also good for the database. The performance and thermal limits of traditional CPUs have made GPUs the go-to accelerator for these workloads at extreme scale, and now databases, which are thread monsters in their own right, are also turning to GPUs to get a performance and scale boost. Commercializing GPU databases takes time, and Kinetica, formerly known as GPUdb, is making a bit of a splash ahead of the Strata+Hadoop World conference next week as it brags about the performance and scale of the parallel database management system that it initially created for the US Army and has commercialized with the US Postal Service. Kinetica joins MapD, which we profiled recently, and Sqream Technologies, which you can find out more about here, in using GPUs to execute the parallel functions of SQL queries to massively speed up the processing of queries against databases. Each of these GPU databases has come into being through a unique path, just like the pillars of the relational database world – Oracle’s eponymous database, IBM DB2, Microsoft SQL Server (and its Sybase forbear), MySQL, and PostgreSQL – did decades ago. And as these GPU databases mature and develop, the race will be on to scale them up and out to handle ever larger datasets and perform queries faster and faster at the same time. The GPUdb database was developed by Amit Vij, CEO of GIS Federal, and his long-time partner Nima Negahban, chief technology officer at the geospatial information systems and data analytics firm that, as the name suggests, does a lot of work with the US Federal government. Negahban was the original developer of the GPUdb database that is now being commercialized by a separate company, called Kinetica, which is also the name of the database now. The database that is now called Kinetica was created from scratch, Negahban tells The Next Platform, with its own SQL engine and distributed processing framework and it does not rely on any open source projects. GIS Federal was commissioned by the US Army Intelligence and Security Command at Fort Belvoir outside of Washington, DC, to create the GPUdb database in 2010 after coming to the conclusion that the existing relational, NoSQL, and NewSQL options were not going to be able to handle the data flows and query complexity and volume that searching for terrorist activity required. GIS Federal looked at the HBase database layer for Hadoop (created by Facebook), the Cassandra alternative to the Hadoop Distributed File System (also created by Facebook), and the MongoDB NoSQL database as possible platforms on which to build this data lake for the Army. While testing these platforms out, Negahban says the same patterns happened again and again: The query inventories were extremely limited, and developers had to go back and create more and more indexes for these databases. So Negahban and Vij cooked up GPUdb, which was at the heart of the GAIA system created for the Army’s INSCOM agency to take in massive amounts of data to help the Army move troops around theatres of operation as safely as possible as threats come and go. The initial Army system running the first GPUdb implementation, which was installed after two years of development in 2012, was a four-rack UV2000 shared memory system with 2,048 processor cores and a 10 TB in-memory database that was accelerated by sixteen Nvidia Tesla K20X GPUs; this system ran Hadoop and HBase was used as the database layer, with offloading of SQL functions to GPUdb. Two years later, GPUdb had its initial commercial installation when the US Postal Service used a more modern version of the database to track its fleet of vehicles and its employee base in real time, and by then, the database was increasingly resident on the GPUs themselves. The Postal Service used one of the famous enterprise databases (it can’t say which one) , and wanted to put all of this streaming geospatial data into that relational database, but it was crazy expensive, according to Negahban. Last year, the USPS delivered 150 billion pieces of mail, and the routing software that used the GPUdb as its data store tracked every truck and every piece of mail, mashed it up with environmental and seasonal data, and helped the organization drive 70 million fewer miles than it did in 2015 and save 7 million gallons of fuel. The amazing thing is that all of this was done on a fifteen-node hybrid CPU-GPU cluster. (Well, to be more precise, it was done on a cluster with five-way replication and a total of 72 nodes.) Over 200,000 devices are streaming data into this cluster once every minute, and over 15,000 sessions running queries off this system can be handled simultaneously. GPUdb and now Kinetica are not open source, and it is not clear they will ever be. The new name suggests that the company is positioning itself to run on any massively parallel device, not just GPUs, but this is not a new idea, but a return to its original plan. Negahban says that Nvidia’s GPUs – in their various incarnations and not always Tesla compute engines, either – are the preferred motors for its database. Any Nvidia GPU that has a Fermi or later generation of GPU (basically from 2009 forward) and that supports the CUDA programming environment can run the GPUdb/Kinetica database. Technically, any device that supports OpenCL could also run it. (The early editions of the GPUdb software could be deployed on AMD GPUs as well.) But Negahban points out that in the past couple of years Kinetica has done a lot of work optimizing for Nvidia GPUs, and adds that for many customers, double precision floating point math matters for their analytics – actually, it is the format of data that they have that drives this – so the appropriate Tesla accelerators like the K40, the K80, and now the P100 are usually recommended. As far as we know, MapD and Sqream do not yet support Power processors, but there is no reason they could not. 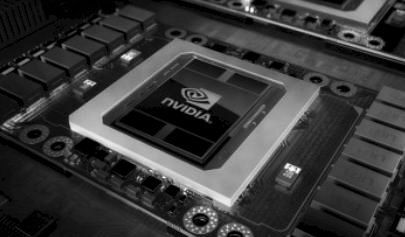 GIS Federal is a member of the OpenPower Foundation and was a beta tester for the Pascal Teslas, so Kinetica has been looking forward to this day when NVLink was available. (IBM just started shipping systems that support NVLink.) Kinetica has also been working on integrating flash devices with the hybrid Power8-Tesla compute complex through the Power8 chip’s Coherent Accelerator Processor Interface (CAPI) ports, and we could see a day when disks are replaced with flash and the whole shebang moves that much faster. Kinetica hosts the data that drives analytics in both disks in a traditional row format and in CPU memory in a compressed columnar format like other in-memory databases. The secret sauce in all of this is the memory management as data moves from disk to memory and back. The authoritative copy of the database lives in the server host memory, and interestingly, the GDDR or HBM memory of the GPU is used as a scratch pad for data as the GPU chews it. The datasets are so big that Kinetica is dealing with that cramming it into the 4 GB to 24 GB of GPU memory was not going to work; they demand terabytes of memory per node, not gigabytes, and ganging up multiple GPUs is too costly. The memory to compute ratio is not good, so in effect, the CPU RAM is a memory offload to the GPU processing as far as Kinetica is concerned. (Funny, that.) The point is, these customers need billions to hundreds of billions to even trillions of rows of data, and that is not going to fit in GDDR or HBM memory, and even if it did, it would be too costly to scale out the GPUs. Not that you need big iron to run the Kinetica database. A two-node Supermicro cluster, with each server having two 12-core Xeon E5-2690 processors running at 2.6 GHz plus two Tesla K80s, 512 GB of main memory, and a 3 TB SSD in each node can query a database of 15 billion Tweets and render a visualization of that data in under 1 second. That will run you about $50,000, not including the Kinetica software. You can’t even see the lag with the Kinetica database. It is well under sub-second response time. And without being specific about pricing – which is done on the basis of the capacity of the database, not the compute power behind it – Kinetica says that the performance is orders of magnitude better than HANA or MemSQL and orders of magnitude less costly at the system level. One important consideration for enterprises that are knee deep in SQL queries is that the Kinetica 6.0 database release, which will be coming out later this year, will have full compliance with the ANSI SQL-92 standard, which means it speaks the same SQL that traditional relational databases have for a long time. The prior GPUdb 5.2 release, which came out in May and which was used by the USPS in its cluster, was about 70 percent compliant with the SQL-92 standard, which is about as good as some Hadoop overlays do but it is not the same as an enterprise-grade relational database management system with full compatibility. That is precisely what $7 million in first round venture funding, which Kinetica scored in April, is for. Nice to see, that somebody finaly put some serious effort into this area. Btw. : how it is compared to DAX engines implemented in SPARC M7? Interesting but I wonder if these GPUdb wouldn’t actually benefit more from a XeonPHI architecture, with its vastly better integer performance, FLOPS don’t give you much in DBs. Better and faster memory and closer to the main memory as it can act as the host CPU as well. KNL XeonPHI is oriented at flops too. It has 2 very wide vector procesing units capable of 64Flops per cycle (via FMA instructions) but only 2 scalar ALUs, which yields only at around 256 “Giga integer ops per second” (72 cores at 1,5 GHz), which is actually much lower than what people measured on gaming-class GPUs. And this number will be even lower because of low ILP database code. XeonPHI has too small reservation stations so it can’t exploit enough paralelization in code. Well that’s not quiet true if you have a look at the AVX-512 specification (on KnL and precussors) it also extends 16bit and 8Bit integer operations so you double and quadrupple the throughput at least for these and also enhances DW and QW integer as well. So if you want maximum Integer performance you probably are better of with a KnL after all especially if you code it accordingly. Em, no. You probebly mean “BW, DQ and IFMA subsets” but they are not implemented in KNL. KNL support only bigger vector size, conflict detection and prefetch subsets. First chips wich will support it will be Cannonlake and probably Skylake Xeons. And we should expect it in Knight mill too. Btw. : this is reason, why Intel is releasing Knight mill so fast. They realized, that KNL is not good for ML and KNH is 2-3 years away due to 10nm process. What vastly better integer performance? Basically if GPUs are already whopping Xeons, dont bring a crappy Xeon Phi to the table and expect it to do any better. This sounds awesome but I’m a bit puzzled how a “GROUP BY” statement is faster than a SELECT (0.4s vs 0.6s) as mentioned on their page – ? !